The Orthodox Church proclaims the Gospel of Jesus Christ. In the Greek language, the word for Gospel is Evangelion which means literally “the good news.” The good news of Orthodox Christianity is a proclamation of God’s unbounded and sacrificial love for man kind, as well as the revelation of the true destiny of the human person. Reflecting on the joyous message of the Gospel, Saint Gregory of Nyssa wrote in the fourth century: The good news is that man is no longer an outcast nor expelled from God’s Kingdom; but that he is again a son, again God’s subject. Theosis describes the spiritual pilgrimage in which each person becomes ever more perfect, ever more holy, ever more united with God. It is not a static relationship, nor does it take place only after death. On the contrary, theosis is a movement of love toward God which begins for each Christian with the rites of Baptism and which continues throughout this life, as well as the life which is to come. Salvation means liberation from sin, death, and evil. Redemption means our repossession by God. In Orthodoxy, both salvation and redemption are within the context of theosis. This rich vision of Christian life was expressed well by Saint Peter when he wrote in the early pages of his second Epistle that we are called “to become partakers of the Divine nature.” It was also affirmed by Saint Basil the Great when he described man as the creature who has received the order to become a god. The ever-deepening union of each Christian with God is not a magical or automatic process. While Christ has destroyed the powers of sin, death, and evil once and for all, this victory must be appropriated by each person in cooperation with the Holy Spirit. Each person is called to join with the lifegiving and liberating Spirit” in realizing the fulness of human life in communion with the Father. The Holy Spirit is the agent of deification whose task it is to incorporate us into the life of the Holy Trinity. However, the Spirit always recognizes our human freedom and invites our active cooperation in perfecting the “image and likeness of God” with which each of us is created. Our participation in the life of the Holy Trinity, which we know as theosis, takes place within the Church. 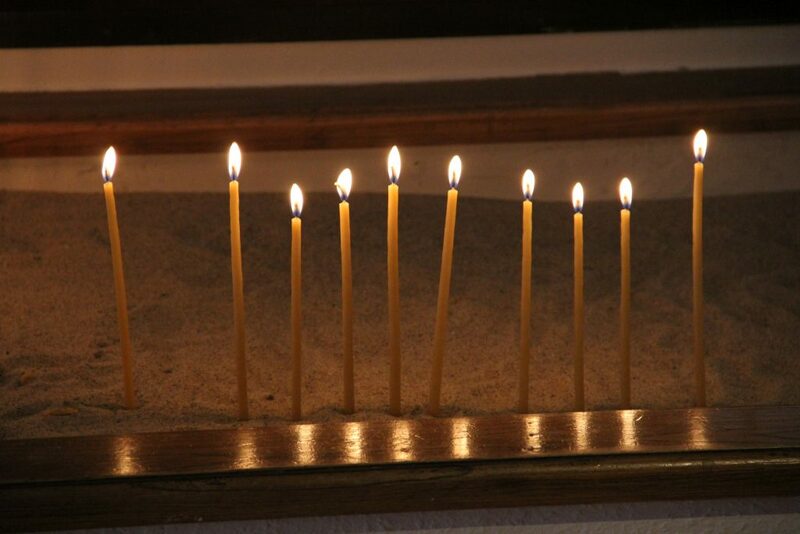 For the Orthodox, the Church is the meeting place between God and His people. The Holy Spirit and the Church are organically linked. In the second century, Saint Irenaeus reminded us of this by saying: “Where the Church is there is the Spirit, and where the Spirit is there is the Church.” The Holy Spirit moves through the life of the Church to reveal our common humanity in Christ and to unite us with the Father. 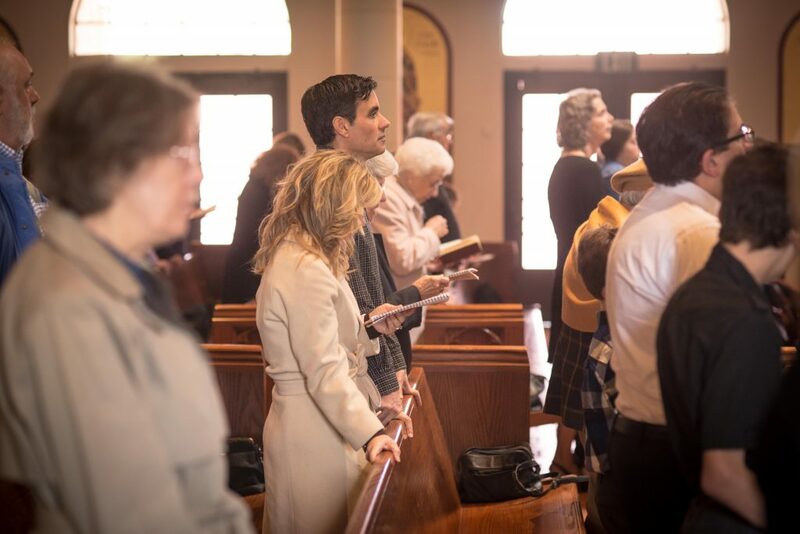 We acquire the Holy Spirit through our celebration of the Eucharist and the reception of Holy Communion, through our participation in the Sacraments, through our discipline of daily prayer, and through the practice of fasting, all of which result in a Christ-like life. The Holy Spirit, Who is honored as the Lord and Giver of life, is manifest in the life of the Church in order to bring our lives to perfection, and to make us responsible and loving human beings. The fruit of Worship is the gifts of the Spirit. In his letter to the Galatians, Saint Paul identified these as: “love, joy, peace, patience, kindness, goodness, fidelity, gentleness, and self-control.” Certainly, these are the virtues of a Christ-like life. They testify to the fact that the love of God and the love of neighbor are inseparable. 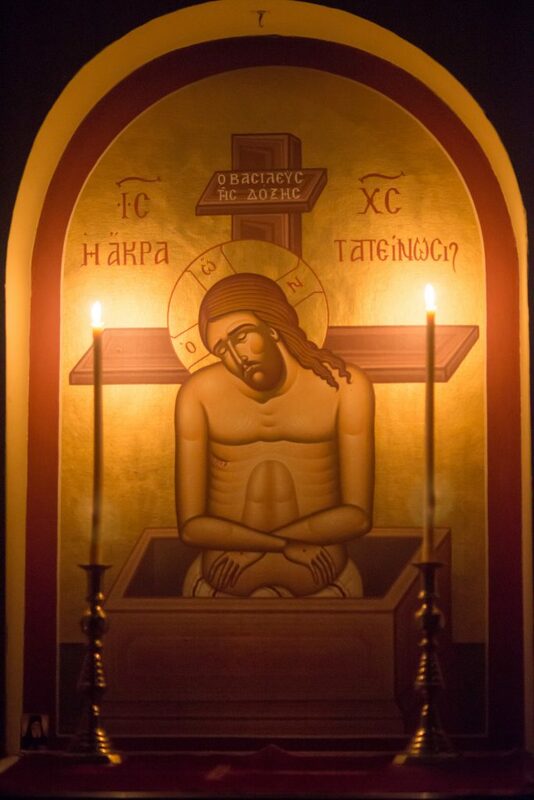 The reality of theosis not only bears witness to the love of God who wishes to share Him self with us but also expresses a very positive view of the human person. Orthodoxy believes that each person has an intrinsic value and importance in virtue of his or her unique relationship to God. The human person is never seen as being totally depraved. The “image of God” which can be distorted by sin, can never be eradicated. Through the life of the Church, there is always the opportunity for fulfillment. 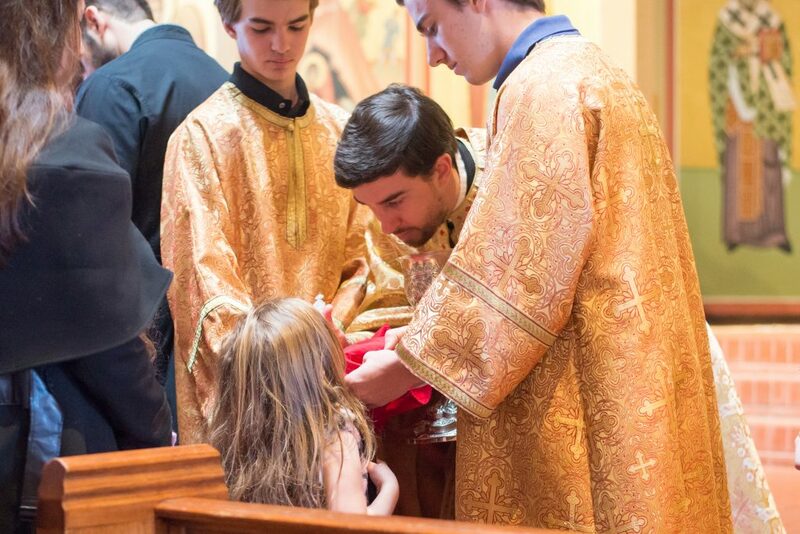 When the Sacraments are administered, they are always offered to the individual by name. This action not only reminds us of the dignity of each person but also emphasizes the responsibility each person has for his or her relationship to God. To be united with God within the midst of the Church does not mean that our unique personalities are destroyed. We are not engulfed by an impersonal force or power. As with all love which is true and valuable, God’s love for each of us respects our personhood. His love is not one which destroys. God’s love is one which reveals, elevates, and perfects our true selves. By entering into the life of God, we become the persons we are meant to be.